THIS WINERY IS NOW CLOSED In 2004, we purchased land near the south end of Cufra Inlet, on Thetis Island with sloping south exposure and well-drained soils we worked the land to become Domaine Jasmin, Vineyard & Winery.We grow Pinot Gris and Pinot Noir, vines that do well in Burgundy, France the region that has a similar growing climates to Thetis Island. We are strong proponents that wine is made in the vineyard. We manage our vines with cultural and organic practices to maximize flavour development, attained through the longest possible hang time. 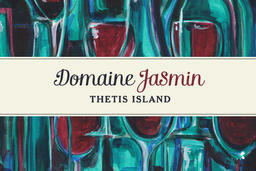 Our wines are handcrafted to reflect the natural beauty and purity that is Thetis Island.